Auditions for performers and call for theatre volunteers for Sister Act at New Mills Art Theatre, Tuesday 28th March, 8pm. 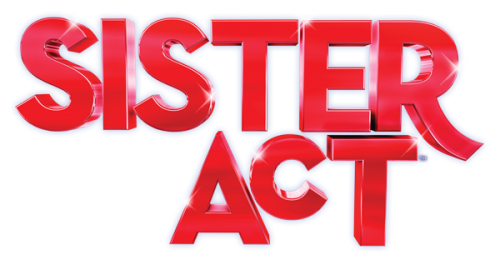 The musical Sister Act will be staged at New Mills Art Theatre in November 2017 and if you are interested in being in the show – come along to our Get-Together at The Art Theatre, Jodrell Street, New Mills, SK22 3HJ on Tuesday, 28 March at 8pm. You will meet the Production Team: Director, Rob Brittles – Musical Director, Adam Hutchins and Choreographer, Carolyn Dent. The Director will talk about the show, story and characters and you can register for audition. You must be 16 years of age to be in the show and are most welcome whether you have had previous stage experience or not. Sister Act is a musical comedy based on the famous film starring Whoopi Goldberg. A singer named Deloris witnesses a killing and hides in a convent under a witness protection program posing as a nun. Deloris soon makes friends with the nuns, taking over the convent choir, inspiring the nuns and community – even the Mother Superior finally warms to Deloris after a rocky start. The show is filled with uplifting gospel inspired music, fabulous dancing and a truly moving story about the universal power of friendship. There are some amazing roles in the show and we are looking for a full company cast of principals and chorus/ensemble. If you can’t make it to the Get-Together and would like more information, please email nmaods@outlook.com – auditions will be held on Sunday, 7 May. Performance dates for the show are 15-18 November 2017.